Uber is the biggest startup in the world. It's world $50 Billion. It operates around the world in more then 60 countries or 360+ cities (plus counting). Uber weekly expands to new city on average. Check out if its already resent in your city otherwise soon it will be there or planning to be there. Uber API allows to integrate Uber button in any app. This button can request an Uber cab at your current location or take you to Uber app to book a ride. Uber wants to provide seemless booking for its users for each ride and giving an option to app developers to integrate them same feature in their app so User may book cabs from the app itself. There will be no need to open another app. Uber brings a new way to invite your guests to your venue. UberEVENTS is an option that allows event organizers and party planners alike to purchase rides for guests, and only pay for what they use. This service is coming in New york city first, soon it will be rolled out to other part of the world as well. Recently I wrote a post about most wanted features in Uber app. I mentioned one feature which was to keep my number secret from drivers and voila Uber is rolling out this feature in india. Blade, the Uber-for-helicopters service that ferries New York's elites to and from the airport, the Hamptons, and so on, is offering a papal special: For $95, it will take you between East 34th and First and West 30th and the West Side Highway during rush hour. The trip, which loops around the southern tip of Manhattan, should take five to eight minutes once you are in the aircraft. Uber have applied distance surcharge for your ride in Kochi from today, this means, your bill be higher for longer rides almost double. Recently Uber has increased fare for Hyderabad and Bangalore cities. This increase is in favor of Uber Drivers. Now drivers will not hesitate to take longer rides for you otherwise they used to worry for return rides from some unknown part of the city. Uber still claims to be cheaper then other taxi in city, which only you can decide. Normal calculation verify it but actual cost depend upon time as well which varies from peak time to normal traffic time. Uber started moving people in 2 new cities which are Ajmer and Nashik. This makes total count of 24 cities in India. Uber is expanding its service rapidly to compete with OLA and other taxi aggregation apps services. Only UberGO will be available in these cities for Rs 8 and Rs 7 per km respectively. UberPool will launch soon in beta in select cities in India, starting with Bangalore, to gain insights from commuter adoption and usage. The service is currently present in San Francisco, New York City, Boston, Austin and Paris and assists commuters to get around their cities, reducing the number of cars on the road, congestion in cities and parking challenge. Following the recent car-pooling initiative by the Bangalore Traffic Police to increase the utilization of cars on the road, Uber's carpooling service will make an attempt to make fewer cars on roads a reality. Bhavik Rathod, GM Bangalore, Uber said, "India is a top global priority for Uber along with China and UberPool. Today, we're thrilled to announce that we'll be bringing UberPool to India very soon." The Moto X name has been associated with Motorola's flagship smartphones ever since the original X was launched over two years ago. The Moto X was a good phone that was let down by its poor camera and battery life, though its successor fixed the battery problem to a large extent. Starting today, to justify partner economics, there’s a marginal change in pricing for longer distance trips. After 16 KMs, you will be charged a different fare for every KM that your uberX and uberGO take you, as follows: Uber is increasing it's fare silently, earlier Uber has increased Bangalore fare if your distance exceeds 15 km in single ride, today they are increasing Hyderabad fare. Today onwards you have to pay increased fare for your ride exceeding 16 km regular fare limit. Lets see few example to understand fare calculation and plan ride better. Example 1. You take a ride of 16 km in 30 mins in UberX. Example 2. You take a ride of 20 km in 40 mins in UberX. Uber is in continuation to improve riders experience in its cab. Uber has fierce competition from OLA to improve its services as OLA also implementing few new features like WiFi itself, premium rides for frequent riders etc. Last month starting with Mumbai. Apart from Hyderabad, the roll out has been extended to Bengaluru, Kolkata and Delhi NCR. Uber announced its in-car free wifi features all over India some time back. Uber has tie-up with Airtel 4G to provide free WiFi t its rides in almost all the cabs in India but they didn't start anything significant except in Mumbai uberBLACK cabs. Uber is about to begin free in-car WiFi in Hyderabad by tomorrow. All the knowledge transfer competed to its drivers. Free WiFi will come to uberX and uberSUV only , there will be no facility in uberGO. Uber will offer commuters free high-speed internet, powered by Airtel 4G – allowing riders to surf the Internet, use favorite apps or message friends and family during their ride without incurring any data charges! "This partnership is built on our shared visions and strengths of broad, reliable networks and connecting people to their world, anytime, anywhere," said Amit Jain, President, Uber India. Over the next few months, both companies will also be working on joint marketing campaigns. Why Govt and Taxi Union Fear Uber OLA? Threatened by the success of app based taxi hailing services like Uber and Ola .. traditional taxi services have upped the ante. We look at why state govts are going all out to reign in app based taxi aggregators while traditional kaali peeli cabs go on strike. In this fiery debate hosted by CNBC Awaaz’s Tamanna Inamdar Dutta, Taxi union leader A L Quadros faces off with Siddharth Pahwa of Meru. Judge rules on taxi industry lawsuit: Compete with Uber or die A New York City state judge has slammed the door on a legal challenge by opponents of Uber, clearing the way for the rideshare giant to run traditional taxis off the road. Same should happen in India as well to increase competition and improve service in taxi industry. If you are hungry, satisfaction is now just a tap away! From Dosa to Donut, Pasta to Paratha, the route from the restaurant to your tummy, is now through your phone on the TinyOwl app. Sign up with Below code or your this promocode while placing your first order. After applying this promocode you will be eligible for cashback. 3. Before opening the app -- ON your location services . 4. Place the order & required details. Serving Area: Bangalore, Gurgaon, Hyderabad, Mumbai and Pune. Uber is making its own magazine — for riders, this time. 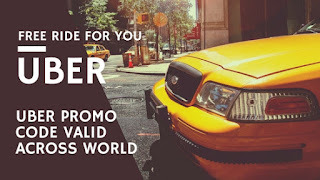 For Now : Uber is starting this initiative from New York city but if everything goes well it may extend to other cities as well just like uberICECREAM , only this promotion was spread across world. From one experiment to another experiment, Uber is trying all options to leverage its existing large driver partners network. This time via magazine to reach customers more and utilizing their backseat time. Uber recently launched Merchant partnership program and possible retailer tie-up to deliver goods and another possible partnership with upcoming delivery based startups in town. The on-demand ride-hailing giant UBER is filling backseat pockets of its vehicles this week with the first edition of Arriving Now, a new magazine produced by the company. It’s similar to how airlines (in India Spicejet used to give one magazine named 'Enroute') produce their own in-flight magazines for flyers. This is a repost from an Old post about the first ride ideas. Earlier I have just written few lines of ideas, Now I am going in some details. Some Background Story When I signed up for Uber, I had no need to use it because I was so well versed in my routine that I didn't need anything else for commute and if needed Uber seemed costly, so I talked to few of colleagues to join Uber and get more referral credit (at that time uber used to give credits of Rs 600/- for each referral) and then try using Uber. Are you a Uber fan, always wanted to try new features rolling out By Uber time to time related to payment, security, ease of use, location tracking, easy reporting, easy help tutorial etc. Here is your chance to test n try all new BETA features of Uber app around the world and contribute to its better usage in future. Form is closed. No Form available. Fill the above form and you will be notified for the new features via email and probably a download link to update your uber app to its ALPHA/BETA version of the product. Uber is trying its hand in many fields from restaurant food delivery via uberEATS, gold coin deliver in India on festival, ice cream delivery by name uberICECREAM, fresh vegetables delivery by uberFRESH, uber is trying all the option to leverage its existing platform and existing driver partner network all over the world. Uber drivers are mobile partners, they are always on the run and moving people around the city, so this time Uber came up with Idea of same-day delivery of goods from local retailers. Recently Uber introduced merchant program in some cities, this is the extension of the same program. According to TC article: Uber has been getting deeper into the delivery space of late, with investments in delivering fresh produce with UberFresh, as well as the recent launch of UberEats in Chicago and New York (already available in Los Angeles and Barcelona), letting users order curated meals for lunch and dinner that are delivered curbside by UberEats drivers. There are plenty of startups coming for on-demand service like Uber. There is a link which lists most of the Uber for X like services. People need things on demand where food is the first thing people want when they are hungry and they want it on time. Most of the startups are trying to figure out to meet this on-demand situation and some are already found solution in Uber itself and they are in talk with Uber for delivering services in the neighborhood. On-Demand Companies Consider Outsourcing Delivery With Uber What has not helped is the bidding war for drivers among the glut of on-demand startups that has driven up the cost of delivery — there’s Postmates, SpoonRocket, Washio, Uber, Lyft, Sidecar, Sprig, Doughbies, BloomThat, Shyp, DoorDash, Munchery and Instacart, among others. Some companies are offering driver bonuses and higher paychecks to lock up the market for drivers. Ola is expanding very fast and trying new domains of business. Started with taxi aggregation on website (ride later), moving into only app based taxi booking company like Uber, acquired TFS and integrated in its app. Ola stated delivering food in four Indian cities which are Hyderabad, Mumbai, Delhi and Bangalore in limited areas mention here. Its a neat and clean feature of Ola to its users to move around city cashless. You can charge Ola money anytime then book you ride and pay with Ola money. Refund and adjustments are easy to get in Ola money rather then bank account. Ola Store Offer Starting from Gurgaon, Bangalore and Hyderabad, Ola begins delivering groceries instantly. More cities will be added soon. You are here, it means you have already created your Uber account or you are about to create Uber account. This post explains about to set location and mobile country code before referring anyone, else you will get $20 worth ride which cannot be used in india. A gift from me to you! Claim your first Uber ride free, up to $20. You'll never need a taxi again. Available on iPhone and Android. GET.UBER.COM Fix above referral , otherwise your free ride will not be usable in India. I hope you are reaching to your destination in time, thanks to Uber and its route guidance system and Drivers route knowledge but what will happen if you are new to city or driver don't know the optimal way then you fall back to google map and its traffic awareness system. Here is an alternative, Traffline App , this app shows the optimal route based upon traffic at the moment to your destination. Read on the full story to know in detail.. Such simple words- Choice, Chance & Change!! But the true meaning I understood then.